Doctors say too much dietary sugar is bad for your health. Beginning in 2020, U.S. regulators will demand that processed food makers put added sugar labels on their products. In 2016, the U.S. Food and Drug Administration announced a mandatory policy that the manufacturers of packaged foods and beverages must post on the product label the added sugar contained in the product. The new policy is set to take effect between 2020 and 2021. The policy stipulates that the label includes the added sugar content in grams as well as the per cent daily value of added sugar. A study published today in the journal Circulation tallies the potential long-term health benefits of such a change in policy using a predictive model. The study, by researchers at Tuft's University and other institutions, estimated that the FDA's added sugar labeling could prevent or postpone more than 350,000 cases of heart attack or stroke and nearly 600,000 cases of Type 2 diabetes over a 20-year period. In addition to the reduced morbidity and mortality, the policy could save $31 billion US in healthcare costs and nearly $70 billion in societal costs over the same period. Health Canada has also ordered changes in the way foods are labelled, but has given the food industry until 2022 to comply. The Canadian regulators will require manufacturers to group sugar-based ingredients in brackets after the name 'sugars' to help consumers identify all of the sources of sugars added to foods. As in the U.S., Health Canada is mandating a percentage daily value of sugar consumed to enable users to compare the sugar content of different foods. The other purpose is to identify for consumers the sugary foods whose consumption should be limited. That would include foods and beverages with sugars daily value of 15 per cent or more. Health Canada is also consulting on a mandatory nutrition symptom on the front of every product package for foods high in sugar, sodium and saturated fats. Smartphones enabled participants to scan barcodes of packaged foods, receive randomly allocated labels on their phone screen, and record their food purchases. A study of close to 1,300 participants found food labels were viewed in roughly 20 per cent of food purchases. Researchers uncovered a significant association between consulting food labels and the healthiness of products purchased. Thus, they concluded that looking at nutrition labels may lead to healthier food purchases. Still, this kind of approach has its share of sceptics. They say the changes on the label aren't as impactful as they appear at first glance. Mandatory labeling of added sugar means exactly what it says. If, for example, a bottle of ketchup has sugar added, then the label will have to state how much sugar is added. So far, so good. But products such as pure honey and pure maple syrup that contain lots of sugar but no added sugar were exempted from the upcoming changes to the U.S. labelling. 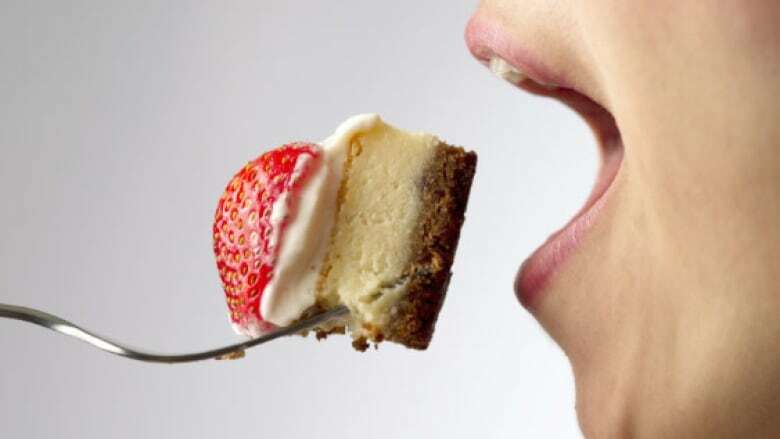 Excess sugar consumption an addiction? It turns out that the FDA has for decades required such foods to have labels listing the total amount of sugar per serving. Critics say the labels won't change dietary habits all that much. There may be more effective ways to curb carbohydrate consumption. I think we can take a page from the way in which society demonized cigarette smoking and apply the same principle to sugar consumption. That would involve strong messaging on unhealthy food products. Another more controversial approach is to treat excess sugar consumption as an addiction. In that way, it would be helpful for those who consume excessive amounts of sugars to understand that, as with any chemical addiction, there are typical withdrawal symptoms if consumption is stopped abruptly. These include fatigue, cravings, confusion, headaches, muscle aches and pains and poor sleep. In the context of an addiction, support groups might be more helpful than mandatory labelling of products because group members who themselves are in recovery from a carbohydrate addiction might be more empathic towards current consumers of excess carbohydrates. Alternatives to sugar-containing foods that are tasty and inexpensive to prepare might also be very helpful. Whatever works, it's imperative that we curb society's enthusiasm for sugar. The health risks are too great to ignore.